The sphere of economy and business is a major part of the present. Many people are eager to try their hand at entrepreneurship and start their own business. For those who want to practice in solving complex management tasks that arise daily from managers of various industries, to try to implement their business ideas and strategies, to improve the necessary skills, an excellent solution – serious business games. Economic simulators allow you to evaluate the effectiveness of your actions in the role of an entrepreneur and bring useful lessons. 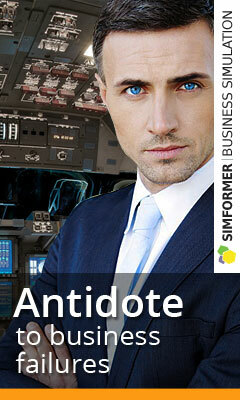 If you are interested in a game with a well-developed economy, analytics, a widely developed communication environment, the on-line business simulator Virtonomics is specially for you! The goal of the game is to create a thoughtful and successful business. But in what sphere and how you will solve the set goal, it depends only on you. Trade, agriculture, extraction of natural resources, production, research, medicine, services and services, or energy – you can choose what you want. Build and develop your business, gain experience in the field you are interested in. – Livestock raising, where it is required to increase the quality of products of livestock farms, increasing the efficiency of the profile work and the number of personnel involved. – Production, where it is necessary to develop the activities of factories, sawmills and mills, increase the number of products, improve the skills of personnel and switch to high technologies of the relevant field. – Scientific research, where it is necessary to increase the number of sold technologies and move to the study of higher levels of technology. Increasing the effectiveness of your laboratory. Management, where it is necessary to improve the efficiency of offices, create large units, increase the number of staff, and effectively pump its own brand. – Extraction of minerals, where it is required to improve the quality of products produced at the oil wells and mines, increasing the number of people corresponding to the core business. – Trade, where it is necessary to develop the efficiency and activity of stores, increasing the number of visitors and their own personnel. 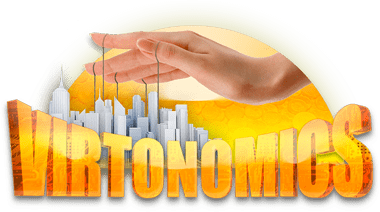 In Virtonomics you can play in different game spaces, differing in geography, level of economic development, assortment of goods. In this case, the rules of the business game allow you to play in any of them or even just in a few. Online business simulation games suit both advanced business connoisseurs, to test their innovative ideas, and newcomers who want to plunge into the world of economics.